In all likelihood, the success will be based upon the level of seriousness and commitment the organization applies. This is a fad, and leaders will emerge. Those leaders will reap enormous benefits, the others will be average. Traditionally, we have talked about 3 business focuses: Product Leadership, Customer Intimacy, and Operational Excellence. In each of these cases, you could link “green” strategic objectives, initiatives, and policies into each of these categories. You could also create a 4th category to trigger discussions about priority and focus of the organization. 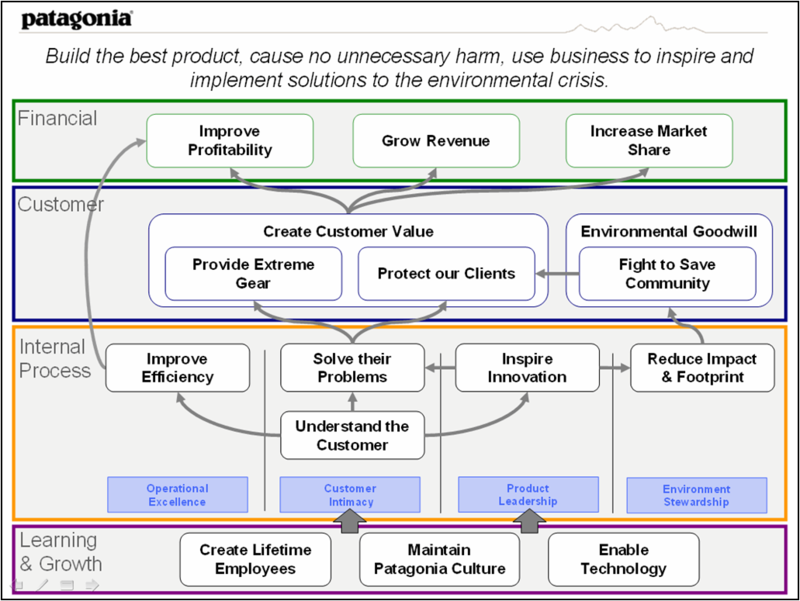 A great example here is Patagonia. They live their commitment to evnironmental stewardship as they understand their clients playground is the environment. How committed are you to the success of your green programs? Are you ready to forgo revenue today, for sustainable benefits? Is green an executive agenda, a marketing initiative, or grass roots initiative?